How many of us are fascinated by the idea of playing the guitar whenever we come across a beautiful live performance or even a video that features one? I am sure a plentiful of us do. Music is like that, it makes you feel alive and who doesn’t want to feel alive whenever he/she wants to. The common tragedy is that most of would buy a guitar, try to learn it by ourselves or YouTube tutorials and then end up putting it in the closet after a slow frustration. Then? It stays there, right in the closet for years, and we move on. It is time to dust it off and start learning. 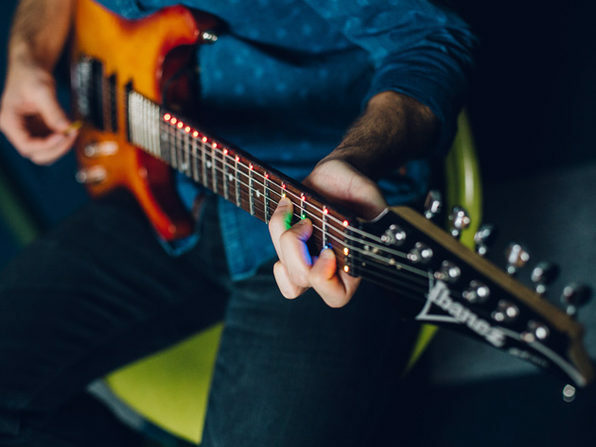 Fret Zealot is a device that you can simply attach to any guitar, and the LED lights tell you exactly where to place your fingers, giving your working memory more space to concentrate on style and technique rather than any other petty distraction. Only six days are left before the crowdfunding campaign ends so hurry up! 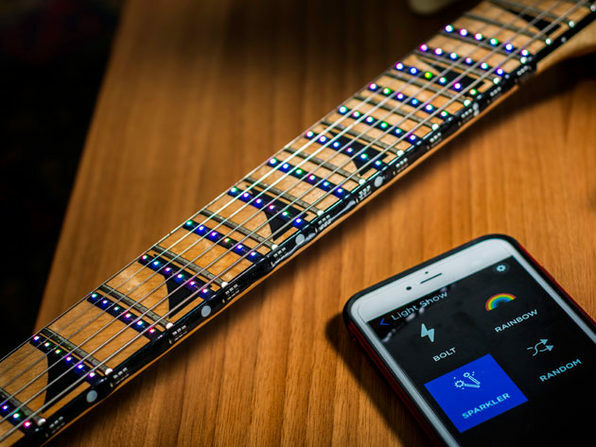 Fret Zealot LED device fits just above the frets and lets you focus on the songs you want to play instead of asking you to go through each and every lesson. The logic is simple, the more you see yourself successfully play songs you want to, the longer you would want to stay with your guitar. And even if you are a pro, Fret Zealot still allows you to add new songs to your repertoire with ease. Fret Zealot comes with a free companion app compatible with iOS 9.0 or later and Android 4.4 or later. It comes in two scale lengths: 24.75 and 25.5 inches which is the standard scale size for a modern full-size classical guitar. Also, it has a battery life of 12 hours on a single charge so if once you can play it all night long. Last but not the list, it’s visual effects created by the LED light is another feature that would make you want it to keep playing and keep flaunting. 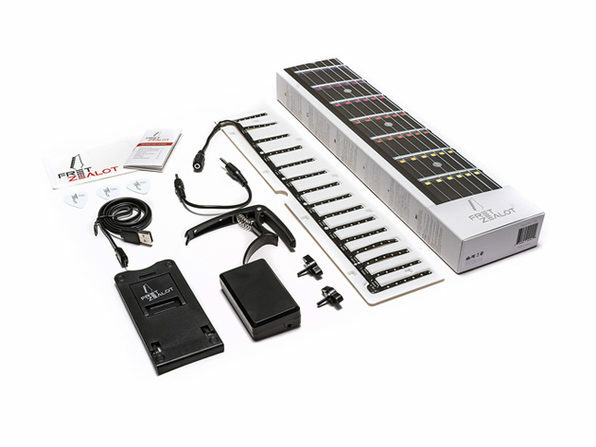 The shipping is free and when you open the box you will find Fret Zealot LED strip, a control Module, a metal capo for mounting the Control Module w/ 2 twist screws, a 6″ audio cable (4 pole), a 36″ USB to micro-USB charging cable, a cell phone stand (collapsible), a 3 Fret Zealot picks and a Fret Zealot sticker.